The customizing work here has long inspired me to undertake something similar. 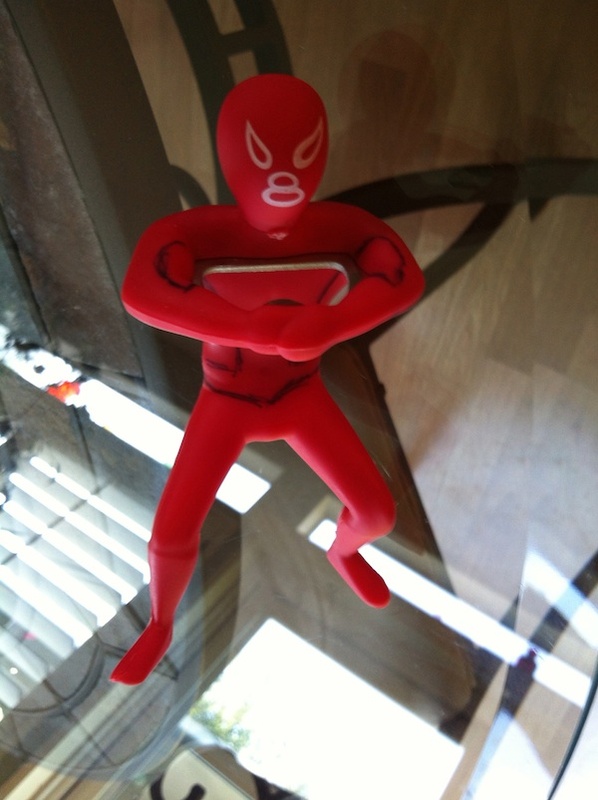 When a student gave me this Luchador bottle opener, I knew exactly what I wanted to do. 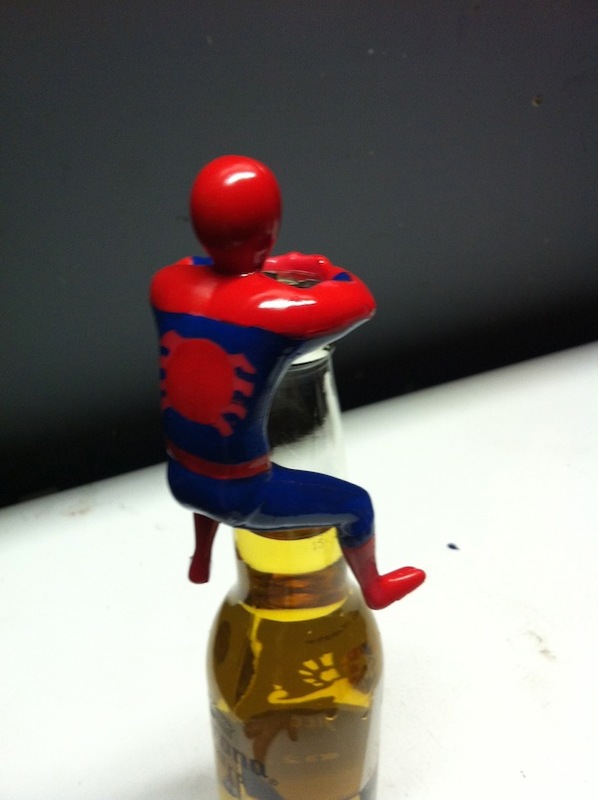 The finished product, and the Web Head works like a charm! "Take that, Longneck! One for you, Microbrew! And that's just for openers!" 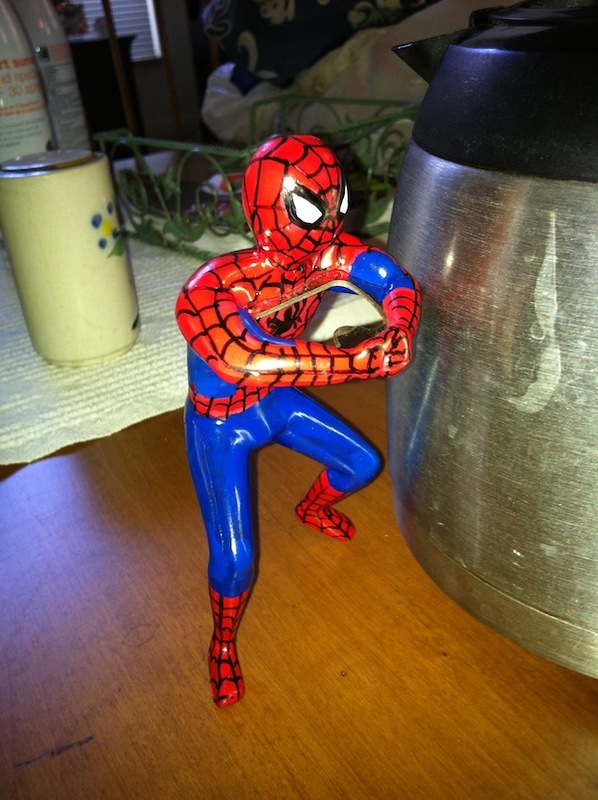 Hahaha - good Spidey banter, Brian; I may steal that when people are next over. Thanks for the compliments, both. Jodi your fine brushwork is impressive, what pointers (groooaan) can you provide a novice? Kevin the webs are hard and you handled them well. My tip would be, just have fun and do more. I love seeing other peoples work, so I look forward to seeing your next project. This was done for WWE Diva Kaitlyn. Getting ready to do a couple comic book My Little Ponies this week. Excellent patterning and color matching, Jodi - awesome. Thanks so much. Kaitlyn really liked it a lot, so I was pretty happy. The Poison Ivy is for our very own Ed Aycock. Great work as always, Jodi! Really love the layered leaves. 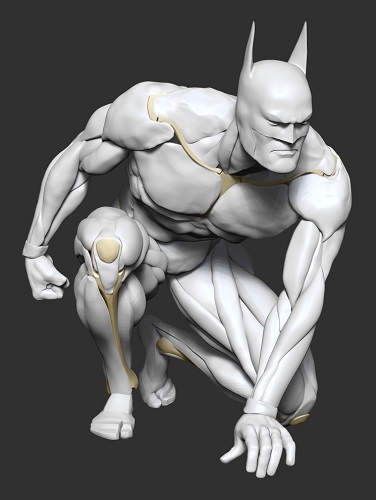 My latest work... Batman ecorche based on JB's design for the Batman: Black and White line. Still very much a work in progress. Your ponies are true masterpieces, as always! Your painting skills are stunning! Sean that is cool, is that the next figure you are doing? Jodi, you are truly the best! Thanks Jodi. Very nice Poison Ivy by the way. 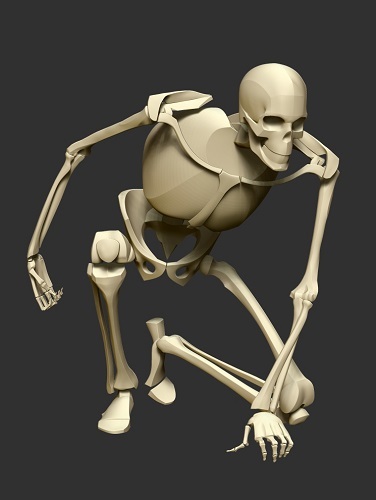 I have done this ecorche as an exercice to practice my anatomy skills and force myself away from the usual "museum" poses. I thought JB's design, posted some time ago on this forum, was perfect for this.